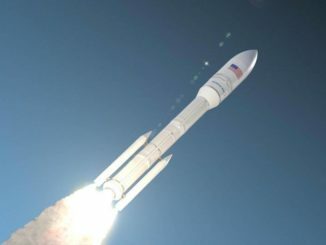 Orbital ATK’s bid to join the U.S. military’s roster of rockets to haul the most critical national security satellites into orbit faces stiff competition from entrenched launch providers and billionaire entrepreneurs, but the company is confident its Next Generation Launch system will win one of three funding agreements the Air Force is expected to award this summer. 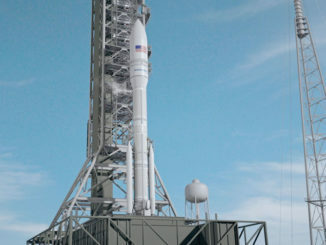 Mike Laidley leads development of Orbital ATK’s Next Generation Launch system, a rocket the commercial space company hopes will provide a foothold in the lucrative market to launch U.S. military satellites, a business currently dominated by SpaceX and United Launch Alliance. 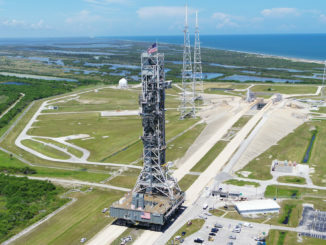 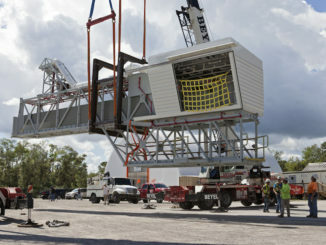 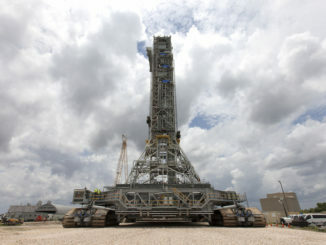 Construction crews at NASA’s Kennedy Space Center are making steady progress outfitting the Space Launch System’s mobile platform with umbilical connections and access arms, and the walkway for astronauts to board the rocket is the most recent arrival at the Florida spaceport. 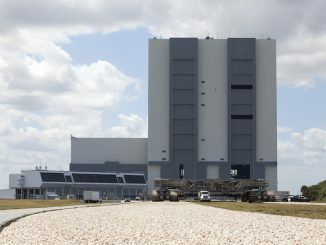 The launch vehicle Orbital ATK wants to face off against SpaceX and United Launch Alliance for lucrative U.S. military contracts would be made of two internally-built solid rocket motors and an upper stage engine supplied by Blue Origin, the entrepreneurial space firm led by Jeff Bezos, an Orbital ATK official said this week.